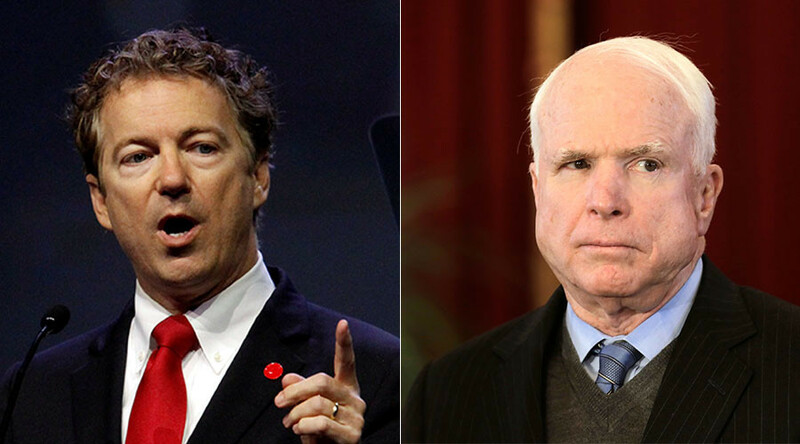 John McCain makes a good case for term limits, said Senator Rand Paul in response to the Arizona senator accusing him of working for the Russian president when he objected to Montenegro’s NATO membership. “To call someone somehow an enemy of the state or a traitor might be considered by most reasonable people to be a little over the top,” Paul added. McCain (R-Arizona) fumed on the Senate floor on Wednesday, accusing Paul of “working for Vladimir Putin” after he voiced an objection to Montenegro’s accession to NATO. “The only conclusion you can draw when he walks away is he has no justification for his objection to having a small nation be part of NATO that is under assault from the Russians. So I repeat again, the senator from Kentucky is now working for Vladimir Putin,” the octogenarian from Arizona thundered. McCain was not censured for the outburst against Paul. He also pre-emptively framed any objection to Montenegro’s admission to NATO as working for Russia. Such conduct could be considered a violation of Rule 19, prohibiting senators from imputing “any conduct or motive unworthy or unbecoming” to their colleagues. It was the rule invoked by Senate Majority Leader Mitch McConnell to censure Elizabeth Warren (D-Massachusetts) in February, after she criticized Jeff Sessions (R-Alabama) during a debate on his confirmation as attorney general. "See you in court," one of Paul's campaign staffers tweeted – in Russian. On Thursday, Paul explained the reason for his objection. Paul also called McCain a dangerous warmonger, referring to a 2013 Mother Jones article using the “angry McCains” index for countries the 2008 Republican presidential candidate wanted to bomb or invade. “His foreign policy is something that would greatly endanger the US,” Paul said. Former Communist official Milo Djukanovic has ruled Montenegro in various capacities since 1998, having first served as prime minister and party secretary. Though Montenegro remained in union with Serbia following Yugoslavia’s official dissolution, Djukanovic declared independence in 2006 with US and EU backing. 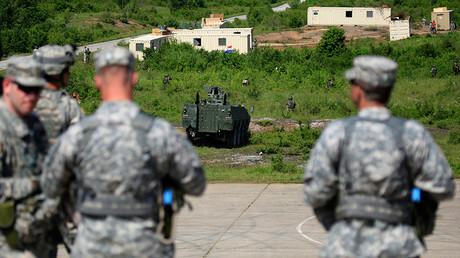 The country has fewer than 2,000 active duty troops and about as many inhabitants as Baltimore, Maryland, but owns the last stretch of the Adriatic Sea not claimed by NATO, after Albania and Croatia were admitted in 2009.